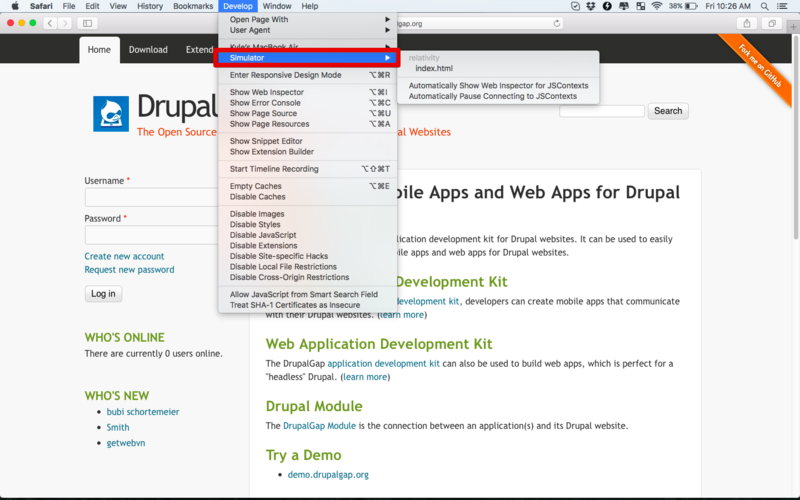 On your desktop or laptop, open Safari’s Preferences and click on the Advanced tab. Check the box to Show Develop menu in menu bar. Launch your app either in the iOS simulator or on a physical device. If you are using a physical device you’ll need to connect it to your desktop or laptop with the standard USB cable. 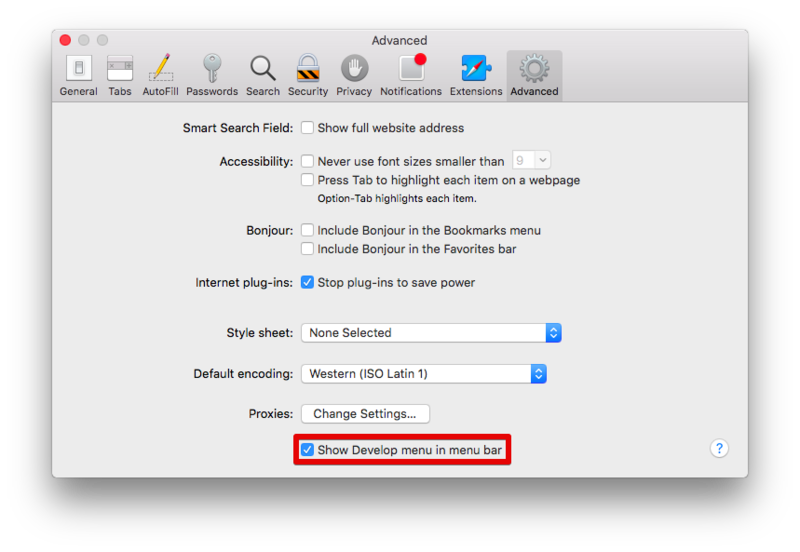 Once the app has launched, switch to Safari, select the Develop menu item, then find the entry corresponding to the web page you want to debug.